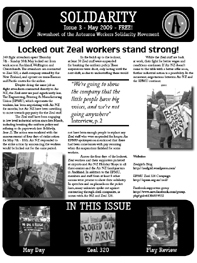 The third issue of Solidarity, free monthly newssheet of the Aotearoa Workers Solidarity Movement (AWSM). Download the .pdf below (1.24MB), or visit the AWSM website to read the contents online. * Locked out Zeal workers stand strong! * What is May Day?